Dengue fever, also known as break-bone fever, is a viral disease spread by mosquitoes. The disease is caused by a family of viruses which are closely related to the viruses which cause yellow fever. The viruses can not directly spread from a person to another. 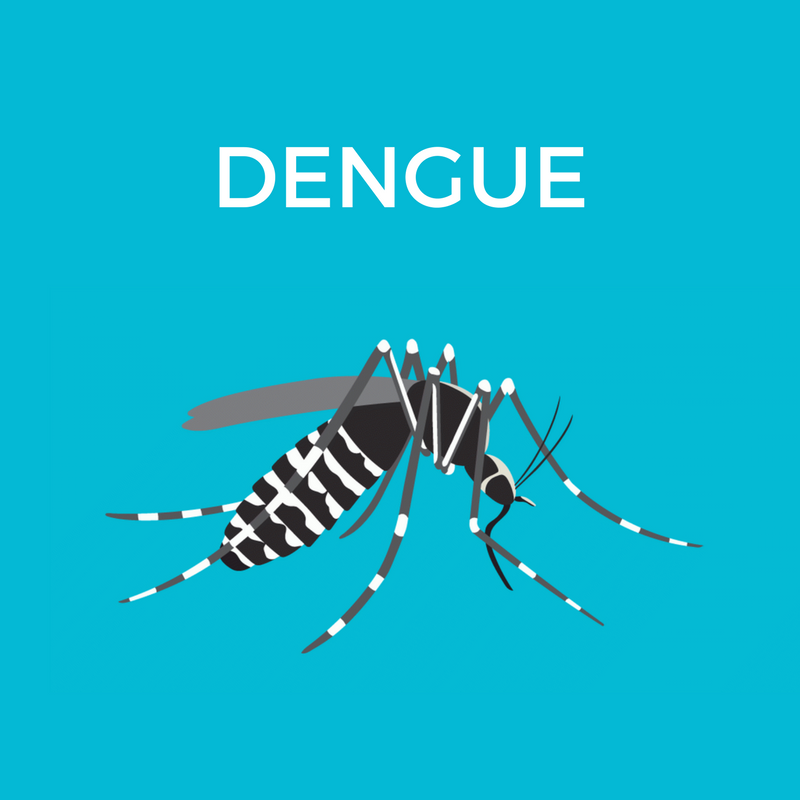 Instead, when a mosquito bites a person infected with dengue virus, it becomes infected and if it bites a healthy person, he or she will also become infected with the virus. The infected mosquito does not suffer from any damage as a result of contracting the dengue virus, and remains infected throughout its life, spreading the disease time and time again. The typical carrier mosquitoes of dengue virus inhabit regions not above 1000 feet from sea level and are found in tropical environments. They are active throughout the year and mostly bite during early morning, but can bite at any time of the day . 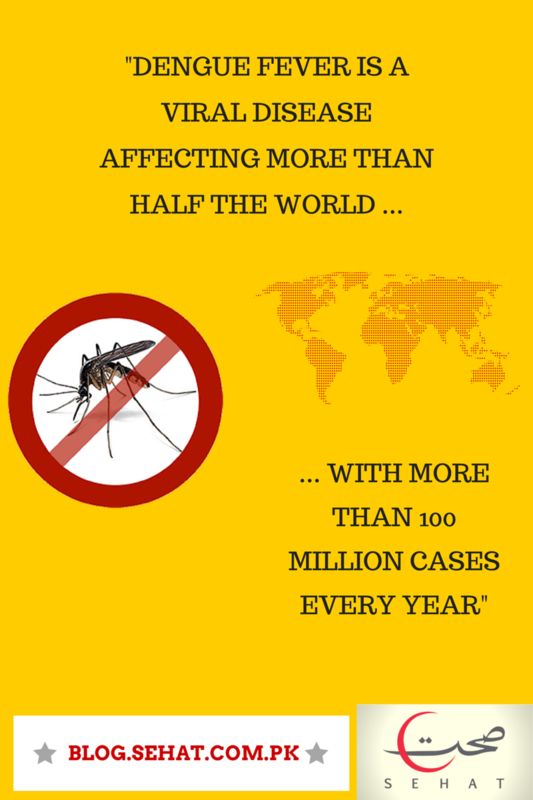 Dengue fever is a viral disease affecting more than half of the world, with more than 100 million cases every year. A vast majority of people infected with the dengue virus either do not show any symptoms at all, or only suffer from mild fever. Almost 5% of infected people show severe symptoms and a small fraction of that amount displays life threatening symptoms. In children, the symptoms are generally similar to common cold and diarrhea. Also, children have a greater risk of complications than adults . The incubation period (time during which infected person shows no symptoms) of Dengue fever is about 2 to 14 days, though in most cases it is noted to be 3 to 7 days. This means that if a person returns from a tropical country or region and displays no symptoms for two weeks, they are not infected by dengue fever . Symptoms include fever which sets within a short time, severe pain in joints and muscles (hence the name break-bone fever), headache and a rash similar to the one contracted from measles. In some cases, the patient might develop dengue hemorrhagic fever which can lead to bleeding and decrease in blood platelets count. The patient might also suffer from dengue shock syndrome, resulting in low blood pressure which sometimes can become fatal . In the first phase of infection, patient suffers from high fever sometimes exceeding 104°F (40°C). The patient also suffers from vomiting and nausea, and is subjected to pain and rashes on the body. The first phase lasts for about seven days . If the patient goes to phase two, dengue fever can become life threatening. In this phase, internal bleeding can lead to fluid accumulation in the body. Children are more likely to suffer from second phase than adults. In the third phase, the fluid previously accumulated is absorbed back into the blood and the patient suffers from itching and a reduced heart rate. Sometimes another rash develops in the third phase . Dengue infection can be diagnosed with a blood test which might show signs of the dengue virus or antibodies. Early diagnosis of dengue fever is difficult because of similar viral diseases which display the same or closely related symptoms. If a person suffers from fever within two weeks of returning from a tropical region, he or she should let their doctor know immediately so they can be tested for dengue fever . 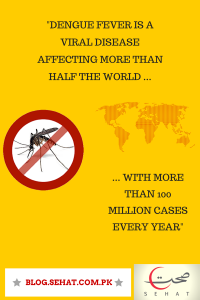 Safety precautions of dengue fever include controlling the mosquito that spreads the disease by destroying the environment it grows in and avoiding the bites of that mosquito . The fever cannot be prevented by vaccines as prevention vaccine for dengue fever has yet been discovered . The mosquito growth can be reduced by reducing open sources of water through environmental means is the most effective way of preventing the mosquito growth. Insecticides can be used to control the mosquito, but they carry environmental hazards with them and are not as often effective as environmental measures taken to control the disease . World Health Organization, Dengue, 1st ed. (Geneva: World Health Organization, 2009). Webmd.com, ‘Dengue Fever: Symptoms, Causes, And Treatments’, last modified 2014, accessed August 29, 2014, http://www.webmd.com/a-to-z-guides/dengue-fever-reference. J. Whitehorn and J. Farrar, ‘Dengue’, British Medical Bulletin 95, iss 1 (2010): 161-173, accessed August 29, 2014, http://dx.doi.org/10.1093/bmb/ldq019. Vassil St Georgiev, Karl A Western and John J McGowan, National Institute Of Allergy And Infectious Diseases, NIH, 1st ed. (Totowa, NJ: Humana Press, 2008). C. Flamand et al., ‘Mining Local Climate Data To Assess Spatiotemporal Dengue Fever Epidemic Patterns In French Guiana’, Journal of the American Medical Informatics Association (2014), accessed August 29, 2014, http://dx.doi.org/10.1136/amiajnl-2013-002348.